The 2019 Special Olympics World Summer Games takes place in Abu Dhabi next month with two staff working at University Hospital Galway participating in the Games. 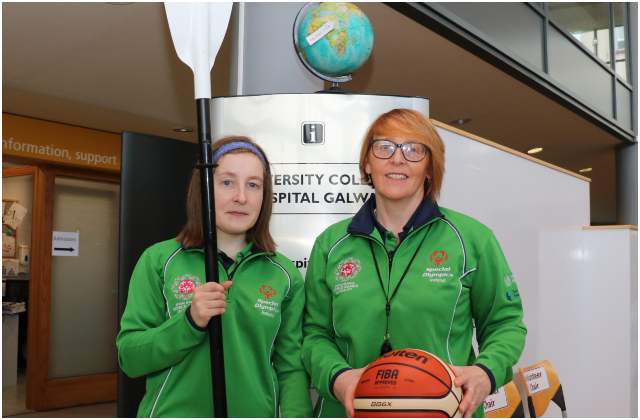 Gina Naughton, who is the Radiology Systems Manager, is the Head Coach for the Irish Ladies Basketball Team and Michelle O’Keane, who works for Aramark in the Café in UHG, will be representing Ireland in the Kayaking event. 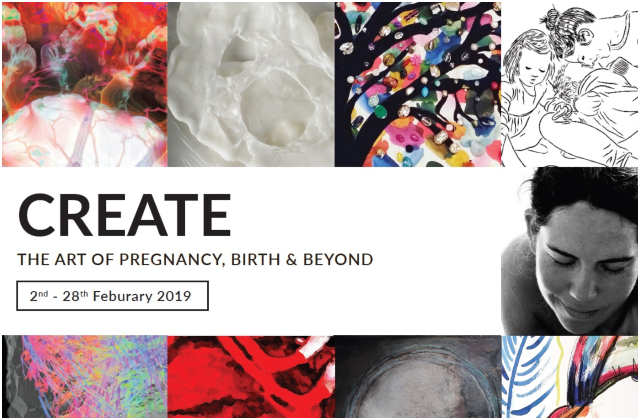 CREATE: The Art of Pregnancy, Birth & Beyond, is a free art exhibition developed by the HRB Mother and Baby Clinical Trial Network, taking place around the campus of University Hospital Galway in conjunction with Galway University Hospitals Arts Trust, that spotlights pregnancy and newborn journeys, the people who make them, and the research that impacts them. 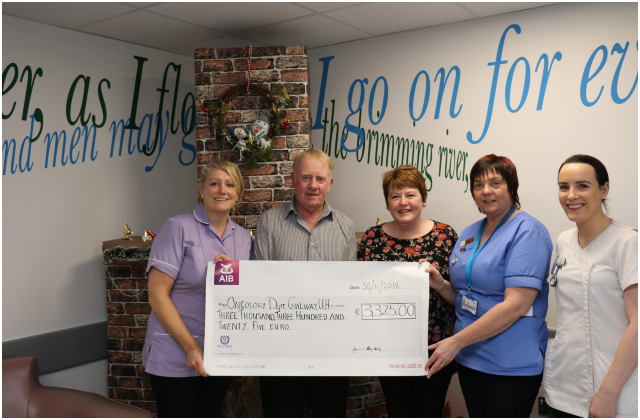 James Melly and his wife Mary from Lettermacaward, County Donegal recently visited University Hospital Galway and presented a cheque for €3,325 to the Claddagh Ward Patient Comfort Fund. 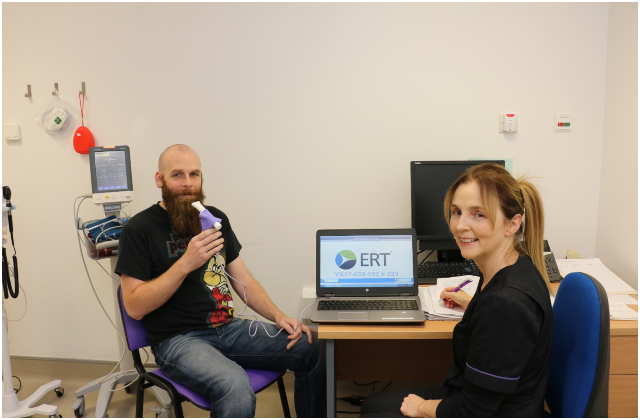 Patients at Galway University Hospitals have taken part in a landmark trial that demonstrates a significant advance in cystic fibrosis (CF) care. A new triple combination drug from Vertex pharmaceuticals, tezacaftor and ivacaftor -plus an experimental one, known as VX-659 - was tested on adult CF patients with the more common delta 508 gene mutation. Up to 90% of Irish CF patients have at least one copy of this mutation which causes CF. 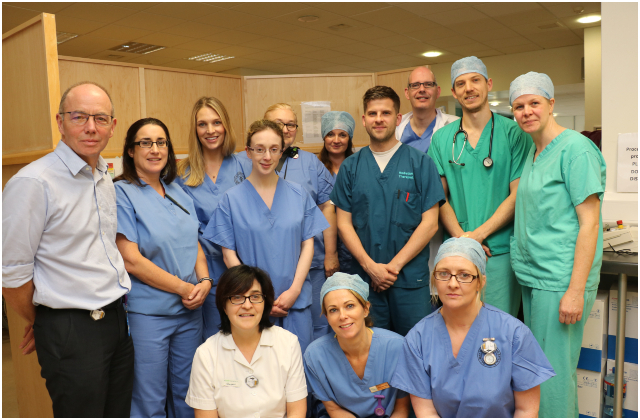 Last month, University Hospital Galway became the first public hospital in the Country to treat patients with prostate cancer using high dose-rate (HDR) brachytherapy. This was the culmination of an extensive training and education programme for the multi-disciplinary team from the Radiation Department which included a Radiation Oncologist, Physicists, Nursing staff, Radiation Therapists and Anaesthetics. 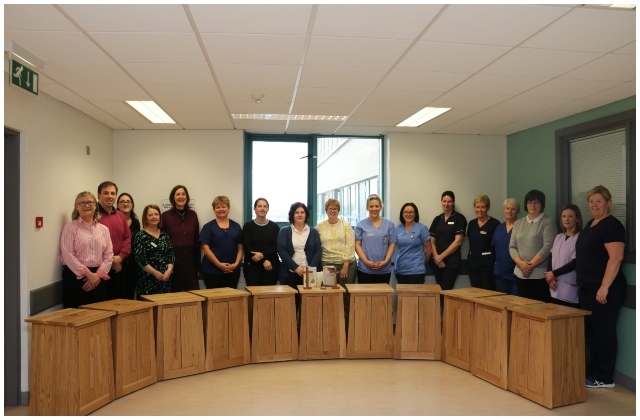 The End of Life Care Committee at University Hospital Galway have recently received 16 multifaith lockers for use in clinical areas of the hospital. The mobile multifaith lockers which can be placed at the patient's bedside contain articles to support spiritual and cultural care before and after a person’s death. Management at University Hospital Galway along with funds raised by ‘Killannin Community Remembrance Walk Group’ provided the funding for the 16 multifaith lockers. 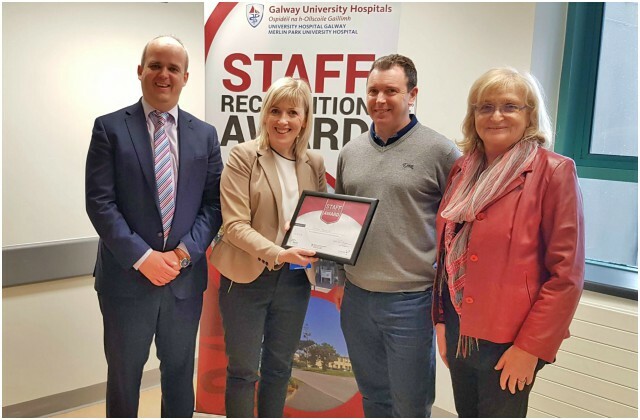 The first quarterly Staff Recognition Award for Galway University Hospitals was presented to Shaun Plower, Clinical Engineering Technician with the Medical Physics Department at University Hospital Galway last Friday, 09 November. 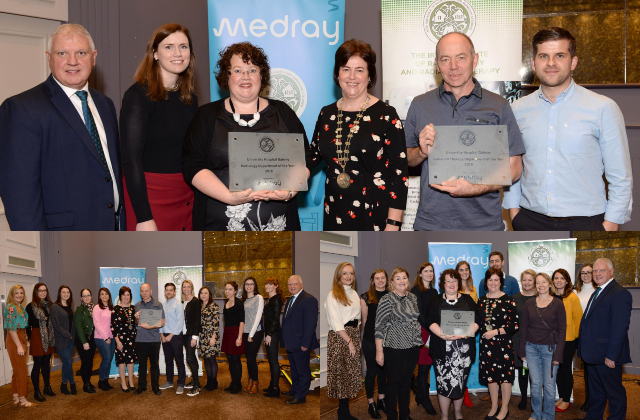 The Radiology Department and the Radiation Therapy Department at University Hospital Galway won their respective ‘Department of the Year’ awards at the annual Irish Institute of Radiography and Radiation Therapy (IIRRT) Medray Awards which were presented during the IIRRT Conference in Galway on Saturday. 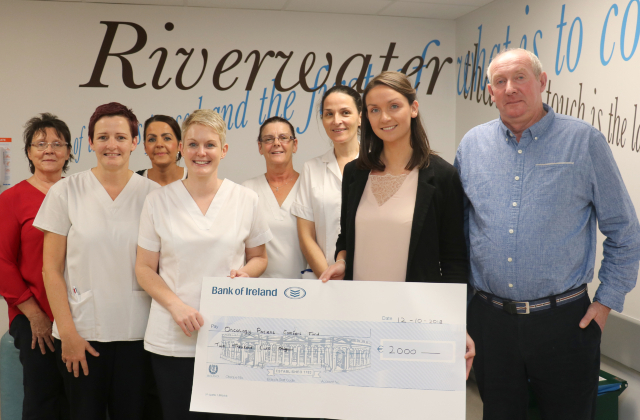 Ms Ciara Ni Fhatharta and her Father Colm O Fatharta from Inis Meain, Aran Islands, Co. Galway recently presented a cheque for €2,000 to the Oncology Patient Comfort Fund, University Hospital Galway (UHG). The donation was made in memory of Finuala Lynch Faherty, a retired public health nurse on Inis Meain, who had been a patient in the Corrib Ward. The money was raised by friends and family who made donations at the time of the funeral. 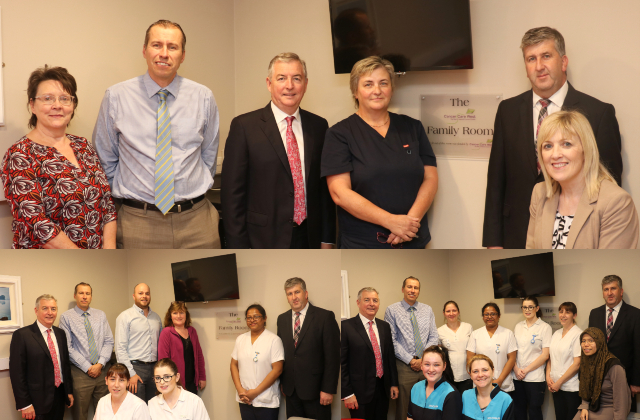 Cancer Care West recently funded the furnishing of a new family room for the Corrib Ward in University Hospital Galway. The Corrib Ward is the dedicated oncology ward which opened in the new hospital block last year and the family room provides a peaceful haven where families of patients with cancer can rest, relax, meet with friends and medical staff and if necessary, stay overnight.